Will you be at the Romance Writers of America‘s annual conference in New York this year? Come meet Elizabeth! The conference runs from July 24–27 and is held at the New York Marriott Marquis. It’ll be an amazing few days where lots of romance authors come together to improve their craft and network with the many wonderful attending industry professionals. 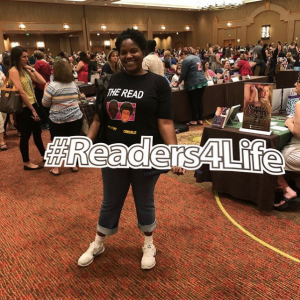 If you’re not attending the conference, but happen to be in the New York area, you can attend the Readers for Life Literacy Autographing event! This is a great event with more than 400+ authors signing. All the proceeds are donated to charities dedicated to improving literacy. You don’t have to register ahead for this event, and it is completely free!